The Next Generation Science Standards (NGSS) call for substantial changes in science teaching and learning. Given this context, how are districts escalating their planning efforts for NGSS implementation? NGSS Early Implementers is a four-year initiative created to help eight California school districts and two charter management organizations, supported by WestEd’s K–12 Alliance, implement the Next Generation Science Standards (NGSS). 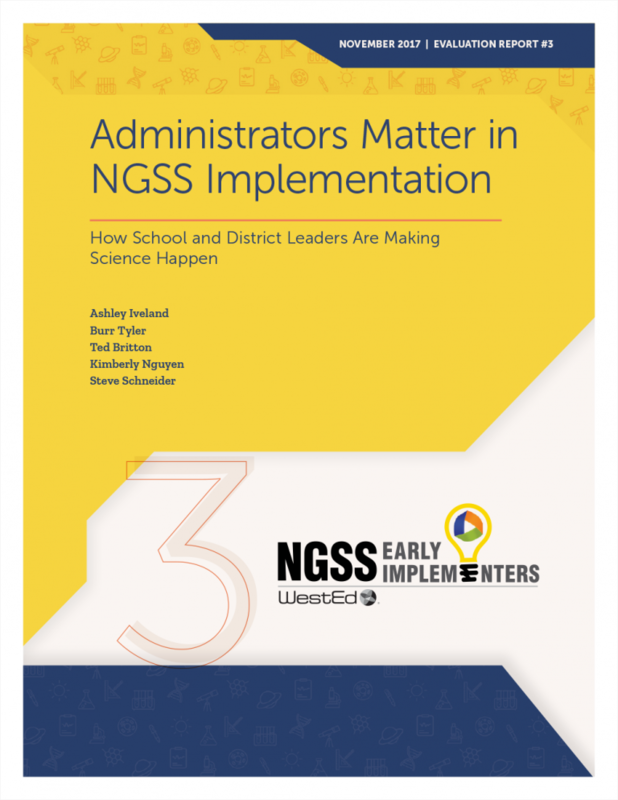 This evaluation report documents lessons learned by the Early Implementer districts that are developing and using master plans to implement NGSS. The appendix includes over 40 pages of practical samples of district NGSS implementation plans, to give readers a clear idea of what goes into a thorough NGSS implementation plan. This report explores the progress of several California districts and charter school organizations in integrating instruction of science and English language arts. K-12 Alliance NGSS Science Institutes: Promoting Change and Fostering ExcellenceEngage in professional development designed to improve science education for K-12 students, including English learners.